That’s right, we don’t just offer exquisite body massages, professional skin rejuvenating products and a range of cosmetic surgery procedures – we also offer laser tattoo removal service! Laser tattoo removal is for those of you who are regretting having a tattoo. Maybe it’s a tattoo that’s constantly reminding you of the past, that’s affecting your job prospects, or maybe you’ve simply fallen out of love with it. There’s no longer the need to dwell on it as tattoos are no longer permanent. Luckily, you’ve discovered the perfect place to get your ink lightened or removed; the Aesthetics of Essex clinic. We are happy to advise, recommend, and provide you with the perfect solutions to all of your skin and body concerns. When you have a tattoo done, the pigment is injected into layers of the skin, called the dermis, which becomes sealed away by a network of collagen fibres – making it difficult to remove the pigment without affecting the surrounding tissue. 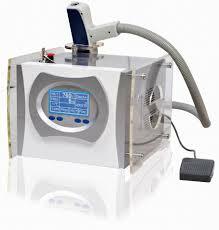 Laser tattoo removal with the Q-switch laser offers high efficiency at low risk. It delivers powerful pulses of heat energy into the skin, penetrating the top layers of the skin and shattering the pigment into fragments. Your body’s immune system then gradually absorbs the fragments, ‘fading’ the tattoo, until it is visually undetectable. No anaesthesia is required for this procedure. Ofcourse there are alternatives to laser treatment, however these involve physically removing the pigment from the area by surgical excision; skin grafting or ‘organic’ acidic solutions which chemically destroy the pigment. Both may cause damage to the surrounding skin, which will lead to scarring. We believe these are unsuitable methods for the removal of tattoos as exposed scars will only add to a decrease in ones self-confidence. Here at Aesthetics of Essex, our focus is to provide exceptional services to clients that will leave them feeling more confident and comfortable in their own skin. We therefore recommend this service for safe and effective tattoo removal, and a free 6th treatment when you book 5 consecutively as tattoo removal cannot be completely eliminated within one session! “How many treatments will it take to make the tattoo vanish” you ask? This varies on the individual, and is the reason why we offer free consultations before any procedures take place in order to determine the number of treatments necessary. Factors such as the tattoo location, size, colours and age will all be taken into consideration during the consultation process. Contact us today for more information and to book a FREE consultation and patch test.